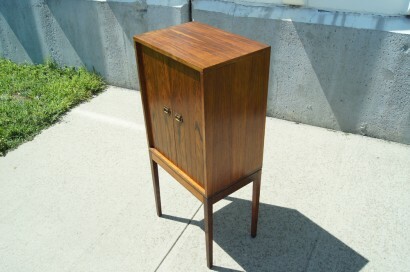 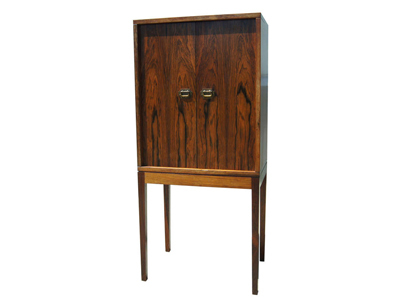 This diminutive cabinet by Ole Wanscher was originally designed as a smoking cabinet. 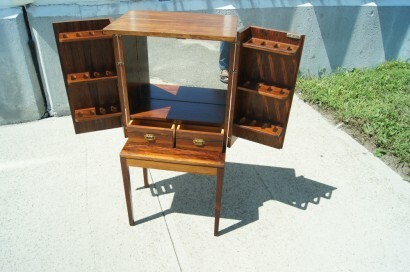 The two doors open to reveal 24 slots for pipes, two small drawers, and a mirror. 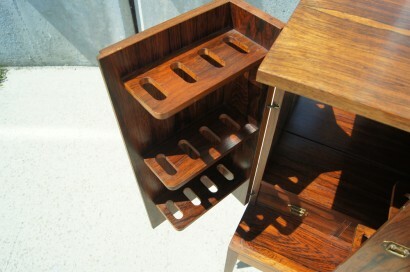 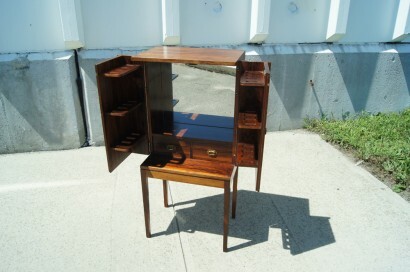 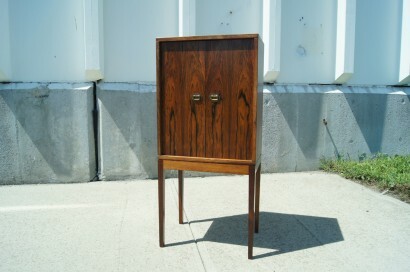 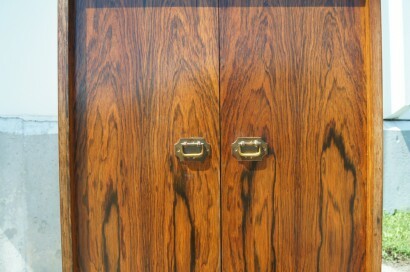 Though intended for tobacco paraphernalia, this cabinet would make an excellent home for any number of small treasures.